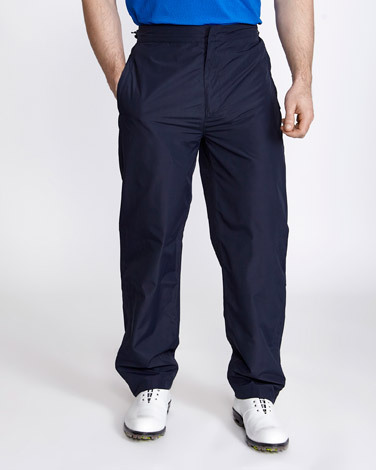 These waterproof pants from Pádraig Harrington are breathable and incorporate a DWR finish to the exterior allowing water to bead and simply fall off the trousers. Boasting hem snaps, water resistant hand zips, a waist cord, ankle zips and a slip-on lining for easy on and off function, these comfortable bottoms will ensure your game is on point no matter what the weather. Pádraig Harrington, exclusively for Dunnes Stores.